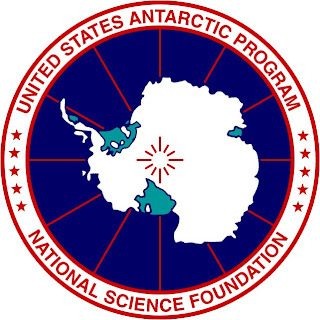 My Antarctica deployment is coming up....and fast. I spent the past two weeks fixing up my Masters Thesis and making adjustments based on comments from my defense. I submitted what I consider to be a "final" version to my committee yesterday and am awaiting to see if they will give me the signatures I need to submit to the Grad School and get my degree. Because of my deployment, I delayed my actual Graduation until May of next year. Otherwise, I wouldn't be able to get paid while down south (or have health insurance). The PhD applications are nearing completion as well. All of the tedious logistics are just about done. GRE scores sent, all three letters of recommendation are either done or being written, and all of the on-line applications are filled out. The only thing I have left to do is to write my "Statement of Purpose", and upload it to the online forms before paying the application fees and submitting. This is my project for the rest of this week and early next week. Next weekend I head up to Rochester to spend a few days with my mom and sister, celebrating early birthdays, Thanksgiving, Christmas, and New Years...all in one. 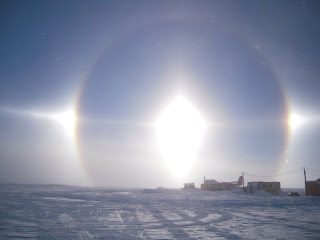 The downside of being in Antarctica over Winter. I haven't thought yet much about where I will go hiking in New Zealand this year (or Australia), but I've got a few ideas brewing. No matter where I go, or what trails I hike, it will be worth it. I had very much wanted to do a Benton Mackaye, John Muir, or Long Trail length trail this year, but it just wasn't possible. I will have time next week to do a 3 day loop in PA (maybe black forest trail again) if I want to, but I haven't decided if I will or not yet. It will depend on the weather. That's it for now. 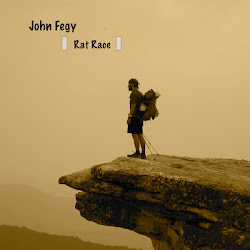 Racing season is over for '09 (save maybe a possible 5 or 10k). 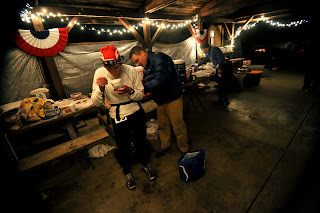 Oil Creek 100 Miler Pacer Report - Good Stuff! First of all, pardon any grammatical mistakes, I have not slept now for over 30 hours (but will be doing so immediately following this post). 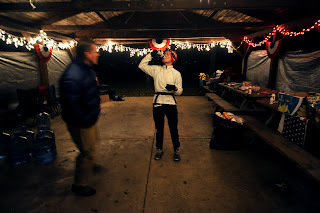 I drove up to Titusville, PA last night and parked myself at the aid station that marked the 62 mile mark on the 100 mile course. I timed it perfect where all of the leaders had already gone through, but now the "middle of the pack" group was coming in. Runners filed in, one at a time and most had pacers. The few that didn't said they were good as is. I was starting to worry that my drive up there would end up for naught, when I caught a glimpse of a runner (Sue) coming into the station about 8 pm. When she made it up to the station, she looked a bit frazzled. I overheard her talking to her husband that she had just ran several hours completely by herself and though she got lost in the early darkness. The whole experience had spooked her quite a bit. I walked over and politely asked her if she'd like some company for a while and she said she still wasn't sure if she was going to go back out. Come to find out that this was Sue's first 100, and she was on killer pace. A group of us at the aid station along with her husband, started to gently nudge her into continuing. We poured on the support and after getting her composure back, she said that she'd keep going and that she'd appreciate the pacing company. And so it was. I was now pacing Sue for however long she wanted the company. The course was set up into 31 mile loops, with a final 7 mile mini-loop at the end. We were just starting the 3rd Big loop (miles 62-93). We starting jogging out of the aid station and she immediately seemed to be doing better. Another runner, Leo, caught up to us and the three of us ran together for most of the entire 31 mile loop. It went by at a pretty good clip and was almost entirely in the dark. The temps dropped down into the low 30's and so we had to keep moving to keep the blood flowing. We made our way and traded ultra running and family stories. Leo, was always on the ball with providing us with the necessary comic relief (with many a one-liner). Aid stations and miles went by and with about 2 miles left in the loop the sun started to come up again. 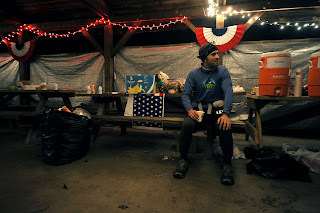 We were estimating about a 27+ hour time into the 93 aid station before the final 7 mile mini-loop. The cut-off at this race was 32 hours...and justifiably so. The course was feisty. I already knew this though from my 2006 backpacking trip around the same trail. 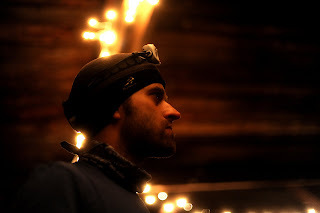 The 100 miler had over 17,000 feet of total elevation gain (that's more than Leadville or Vermont). Sue's goal was to finish, and she was on pace to also break 30 which was awesome for a first 100. When we got to 93, things were going ok, and we both just wanted to get the last seven done. Leo decided to hang back and so we left the station without him. for the first 3-4 miles of the loop, we almost entirely jogged. I don't know where Sue was getting this burst from, but it was fantastic nonetheless. At about mile 4, Leo came sprinting up from behind us and was on a complete TEAR. He must of had one hell of an energy drink because he politely blew by us and said he wasn't stopping. We nodded and told him to tear it up. At mile 98 we came down the trail and on to the public bike path for the last 1.5 miles of the race. Sue was starting to get pumped and our time was still only 28:45. I told her that at the running pace we were doing, she was going to finish in about 29 hours....Awesome time. We rounded the last part of the bike path, hit the very short road section and came up to the high school marking the finish line. The crowd started cheering and Sue's husband (Jim) was taking all sorts of videos and pictures. Sue turned the last corner and ran up to the finish and crossed the line in 29:02, with a 3rd place overall finish for the women. Not only did she finish her first 100 and win a fantastic buckle, but she won a plaque to hang it on for finishing 3rd. Unbelievable. What a great experience. I am glad I was able to be a part of someone else's first 100, and see that look that you get when in sight of that 100 mile finish line. Now I truly know what it looks like and how I must have looked at the Vermont 100 back in July. 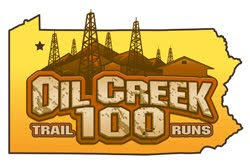 Later today I'm making the 2+ hour drive up to Titusville, PA to participate in the Oil Creek 100 Miler. You might be saying, "wait John, didn't you say no more ultra for 2009?". Well, you'd be correct. I'm not racing in the 100 miler, nor am I volunteering at an aid station. I decided to pay-it-back, so to speak, and volunteer as a pacer for the last 30 miles. I specifically informed the volunteer staff that I wanted to pace someone shooting for a +25 hour time so that I could have a nice easy run with someone not worried about breaking any speed records. It's going to be dark, and it's going to be cold (into the 30's)...but I think it will be an incredible experience seeing what it's like from the other side. I've had the good fortune of having two incredible pacers volunteer to help me at the Vermont 100 and Leadville 100, and both ran with me without complaint and without question. It's now my turn to return that favor by doing the same for someone else. I hope to take some pictures, but I will post a report talking about the experience regardless. Should be fun! 2009/2010 WAIS Divide Field Crew is ready to go! Just got this picture from fellow scientist Sylvain Masclin that was taken at the WAIS Divide Science meeting in San Diego. 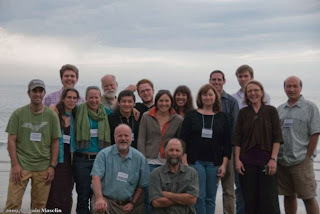 This is the main grantee crew going down to the field camp this season (minus some of the drillers). It is going to be a great field season. In case you couldn't tell, I'm the one wearing the hat on the far left. Master of Science! Another Goal Checked Off! Today marked an important day for me. It marked the culmination of two very hard years of school and the completion of another long goal I set for myself. Today I successfully presented my research to a packed room, took a slew of questions from said packed room, and then defended that research in a closed-door session with my committee (a rather unpleasant experience I might add). My written thesis is completed and just needs some revisions and I can submit everything to the grad school to receive my degree. I like to consider myself a pretty humble person....but today, I'm happy with this passing of my defense. I earned it. 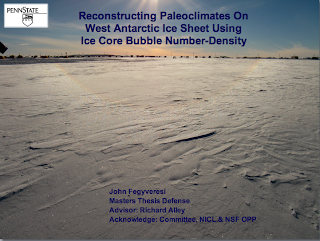 Just like setting out to hike the AT, I set out to earn a Masters of Science in Geology (Ice Core Paleoclimatology). Today I have. For now, it's time to have a few beers and celebrate with the rest of my geology friends (2 others of which defended their PhDs yesterday!). It has been a big week for the ice group at Penn State. 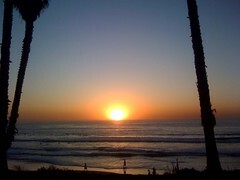 had a nice 3 mile run along the beach in La Jolla tonight....barefoot. This whole trip has been a mind-soothing and necessary experience before my defense. I'm glad I'm here.